Max, Nathan, Siva, Jay and Tom have crashed in to the top of the charts and with their gorgeous looks, perfect voices and slick dancing, The Wanted are set to stay! 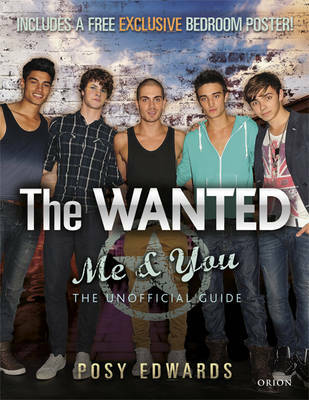 The Wanted Me & You reveals everything you need to know about The Wanted. We look back at their beginnings to uncover what the boys got up to before they reached superstardom, how they met and what they think is the secret ingredient to their success. Find out what the lads think of JLS, who they think the best singer in the band is and all the latest gossip from The Wanted tourbus. So who is your favourite? Whether you'd just like to relax with Nath, party with Tom, play pranks with Max, chill out with Siva or go all indie with Jay, this book is a must-have for every fan of The Wanted!